Boilers, Burners, Thermal Fluid Systems, Chimneys & Vents, Commercial Water Heaters & Storage Tanks, Pumps, Exhaust Heat Recovery - Ryan Company Inc.
rebates from CenterPoint Energy and Xcel Energy. Please click on a link or contact us directly for information on any of the manufacturers' products listed below. Please download our Boiler Startup Form. Bryan Boilers - Steel & Stainless Flexible Watertube Steam & Water, Condensing & Non-Condensing, Electric. Burnham Commercial - Steel Firetube (Scotch & Firebox) Steam & Water, Non-Condensing. 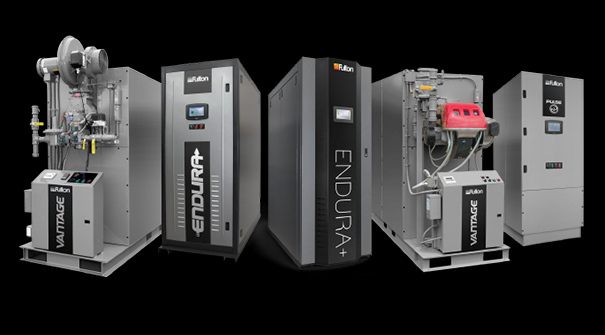 Camus Hydronics - Gas Fired Residential, Commercial and Industrial High Efficiency, Condensing, and Non-Condensing Boilers. Fulton - Steel & Stainless Firetube Steam & Water, Condensing & Non-Condensing, Electric. Power Flame - Firetube, Watertube and Cast Iron Boilers, Dryers, Airheaters, Incinerators, Solid Fuel Ignitors and others. Fulton - High efficiencies, rapid processing, and tight temperature control tolerances are associated with these heaters—plus or minus 2 degrees F.
Security Chimneys - Security Chimneys have a reputation as one of the most trusted suppliers of commercial and industrial heating chimneys in North America. Camus Hydronics - Hydronic Water Heaters with innovative designs and leading edge technology. Reco USA - is a leading manufacturer of Pressure Vessels, Water Heating and Storage Products for the commercial, institutional and industrial markets. Cain Industries - markets include: gas & diesel co-generation systems, boiler exhaust stack economizer systems, and fume incineration systems.